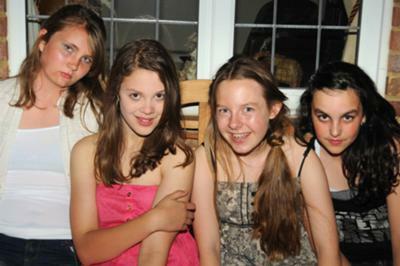 im the one in this picture on the far right. Hello- I am a 13 year old girl who has wanted to be a ballerina all my life. I love the feeling when I dance and I dont know if I should go for it or not - im scared that i will be kicked out because they might think i am too curvey for a ballet dancer but i dont want to give up my dream - i am going for trial lessons soon but i am so scared. I dont want to look fat in my ballet uniform and i'm not very flexible. i have made a youtube video of me dancing ballet freestyle and my friend gets annoyed because i always want to dance whenever i go around her house because she has a good dancing space. My family probrobly wont think i will become a professional but I really want to have a go! The passion you have for dance is very special, you must always remember this enjoyment you get from dancing! prevent even full-time training students from having a ballet career. I want to make you aware of these factors before you try to begin a professional career, as it is this inside knowledge that will help you reach closer towards your goals and ambitions. If you really want to become a professional dancer, there are many factors you have to consider such as where can you train? Can your family support you? You need a teacher and a dance school to help take your potential further, so talk to whoever you can and find a mentor that can guide you. Remember, I am always here to advise and I my site gives lots of valuable guidance. A ballet dancer's physique is an aspect many dancers can easily get conscious of, but you must not let it affect you so that you loose confidence in yourself and your dancing. A dancer's body can be sculpted through training and if you ever feel worried about your shape, then talk to your teacher as they can advise you. But remember, you must always maintain a healthy, balanced eating plan as dancers are athletes too, so you have to be strong in order to reach your maximum potential. 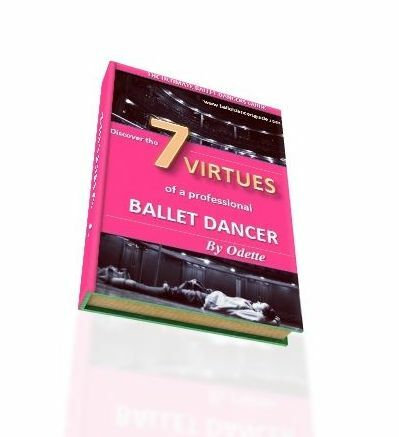 Take a look at the personal development plan which will give you an insight into the stages on becoming a professional ballerina.